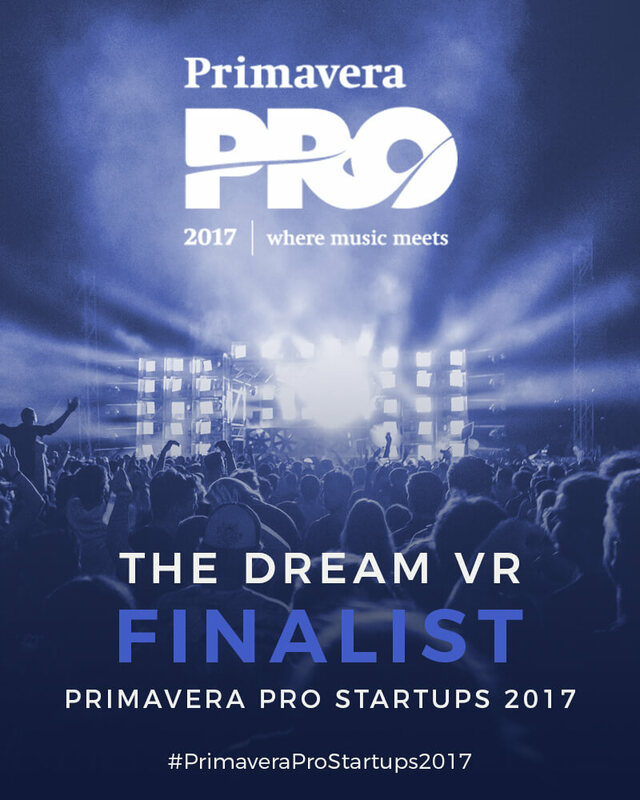 Few weeks ago we set the files to introduce THE DREAM VR to the startups competition that Primavera Pro performs this year to encourage entrepreneurship in the music industry. We are pleased to inform you that we are among the 5 finalists of the contest, a great pride! So we will keep working hard to get the first place. On June 1st we will have news about it! Cross your fingers!